Fly into Paris and take the bullet train to the Angouleme train statio, where you will be picked up and taken to the castle. 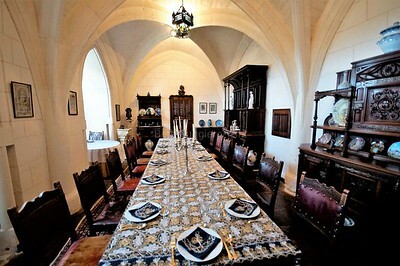 Saturday, October 12: Arrive at the castle and enjoy dinner and an introduction to Marouatte Castle. Meet the owner of the castle and our host, Miles Copeland. After dinner, brief instruction on shooting a full Moon rising and setting to prepare you for the following day. Sunday, October 13: We will begin our first day shooting the full Moon setting at the castle as the sun rises and moon sets around 8:00 AM on the grounds. We then travel to the charming town of Brantome with its Benedictine Abbey built in 769 on the River Dronne, medieval and renaissance architecture, and gardens. 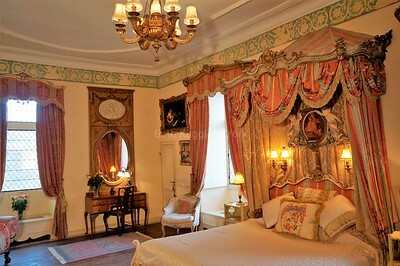 Return to the castle for dinner followed by an evening shoot of the full moon rising as the sun sets at around 7:30 PM. 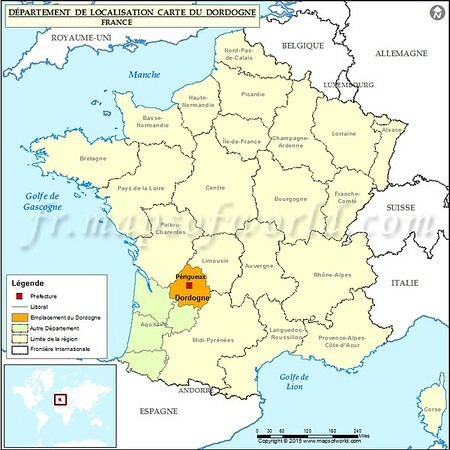 Monday, October 14: This morning, we head to the city of Perigueux, the capital of the Dordogne Department. Perigueux is home to the 12th century St. Front Cathedral (a UNESCO site) on the L’Isle River, renaissance-era lanes and alleys, large outdoor market, and Roman ruins. In the afternoon, we will return to the castle for a critique session and Lightroom/Photoshop features and techniques. Sunset at the castle. Tuesday, October 15: Shoot sunrise on the castle grounds before a free day for sightseeing, shopping, photographing, or exploring other local sites. After dinner, we will photograph the castle bathed in moonlight. 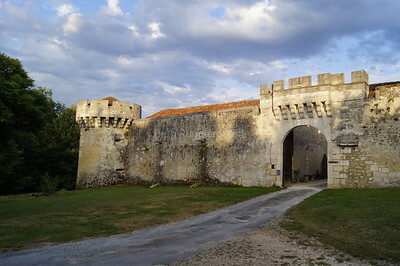 Wednesday, October 16:Travel to La Tour-Blanche and its surrounding countryside and ancient villages in the north of Dordogne, an ancient village on the River Dronne, with castle ruins, French gardens, and beautiful vistas. Thursday, October 17: Shoot sunrise from a hilltop at Montegrieroverlooking the valley before going back to the castle. We’ll have an afternoon classroom session on shooting the Milky Way (tonight’s shoot) and critiques. After dinner at the castle, we will have a one-hour window to shoot the Milky Way over the castle before the moon rises. Friday, October 18: We’ll head to the town of Riverac to photograph the busy Friday market, the largest in the region, and the town. Lunch in town followed by shooting in the surrounding countryside. After dinner, we will photograph at the river on the castle’s property. Saturday, October 19: Breakfast at the castle before the workshop ends. My workshops are small groups of photographers. Because of the small size, I need to ensure that each seat is filled. After the initial deposit of $1,500, the balance is due 60 days prior to the workshop, August 11, 2019. If you cancel more than 90 days before the workshop, you will receive a full refund. If you cancel less than 90 days before the workshop, I will hold the deposit amount unless I am able to fill your seat in the workshop. If the seat is not filled, the deposit will be forfeited. Refunds cannot be granted due to weather or any other circumstances out of our control such as changes in travel arrngements or flights. For this reason,I highly recommend that you purchase a travel insurance policy.